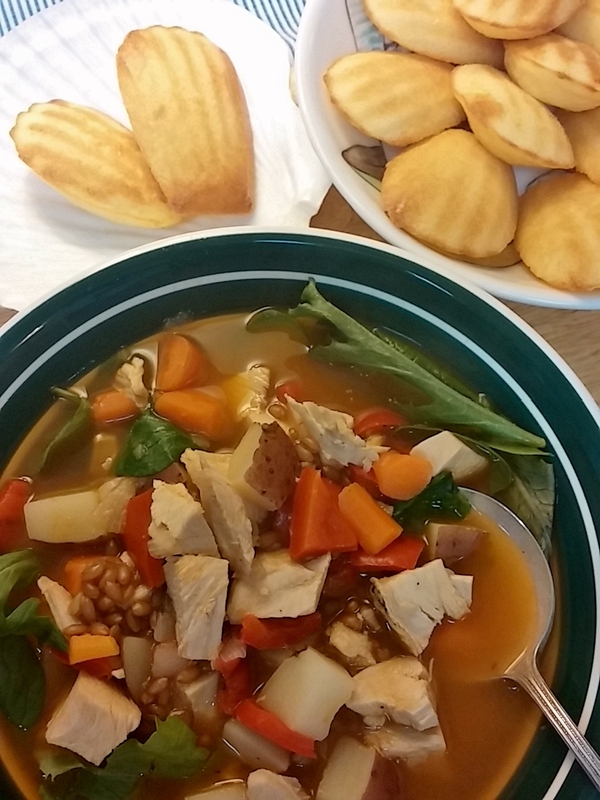 It’s the weekend following Thanksgiving, and time for turkey soup. This year’s version includes shallot, garlic, assorted veggies, farro, and of course turkey. Wholesome and light, the perfect prescription for over indulgence. Such a moderate and sensible approach wasn’t destined to last long. It only took a moment of reflection, also left-over from Thanksgiving, to realize the soup would need something else to go along with it. From there, it didn’t take long to zero in on one of my old favorites, something that I haven’t had a chance to make for a while. In no time, I was deep in cheese madeleine territory. While the soup burbled away, I pulled out my recipe and got going. 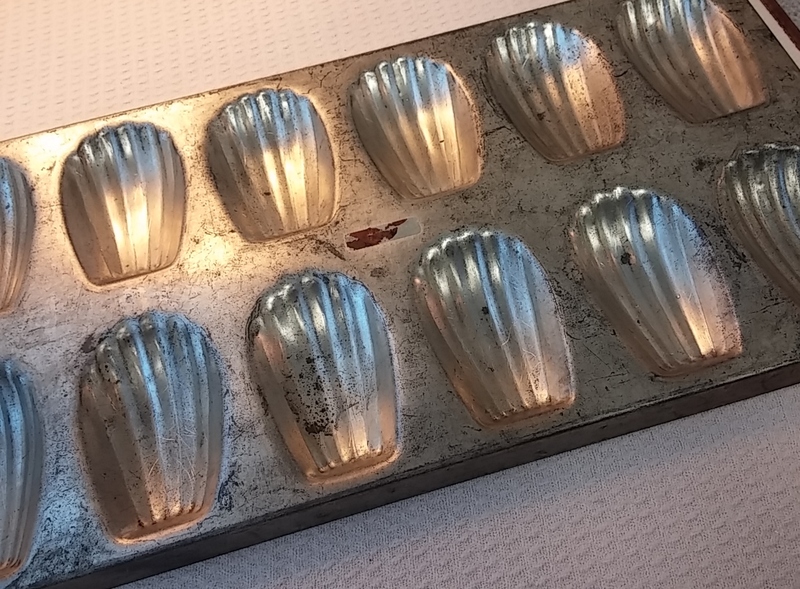 I have had a soft spot in my heart for the French shell-shaped cookie ever since I eyed a barely used madeleine baking tin at a garage sale—long before their silicone counterpart hit the marketplace. They only take a few minutes to prepare and about the same amount of time to bake. Since the original cookie often relies on an egg-sugar emulsion, I have taken some liberties with the cheese low-sugar version, but they are still kissed with butter. Sweet or savory, there’s something fleeting and magical about these light well-constructed pillows of bliss. Soft but crispy, solid but ethereal, mild but elusively rich… I’m beginning to rant like Proust. What wouldn’t taste better with a few of these? Lacking madeleine baking molds, substitute mini muffin pans or tiny tartlet molds. Preheat oven to 350 degrees. 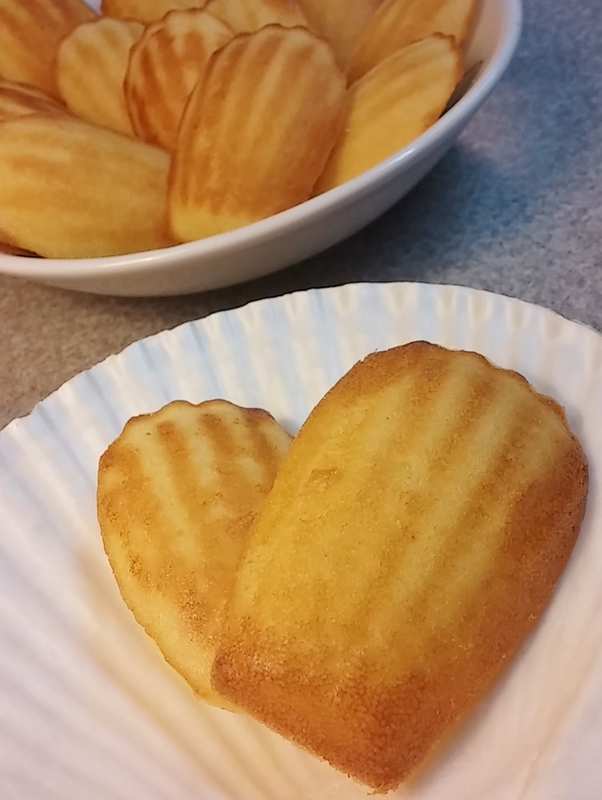 Spray madeleine molds with baking spray and then brush lightly with melted butter. Sift dry ingredients, whisk to blend, and toss in the cheese and nutmeg to thoroughly coat. In a medium bowl whisk the egg well and slowly whisk in the milk. Gently stir in the dry ingredients combining well; slowly stir in the butter until it is all incorporated. Spoon tablespoonfuls of the batter into molds, about ¾’s full, and bake 12 minutes or until they begin to brown. Using tip of knife, release from mold and turn it over. Allow to cool briefly before moving to rack to cool. Wipe out molds, brush again lightly with butter, and repeat. Yield: 10 to 12 large madeleines.